At S & H Glenco Manufacturing, LLC, we are established experts in screw machining. An advanced, high-precision method, screw machining has been our specialty since 1957. Our expertise has enabled customers nationwide to obtain critical, complexly designed parts built to high levels of precision. We recently assisted a customer in the machining of a 1/4" coupler valve from 1215 steel. The design of the valve called for tight tolerances as well as a corrosion-resistant coating. The completed valve design measured 0.415" long and 0.380" in diameter. 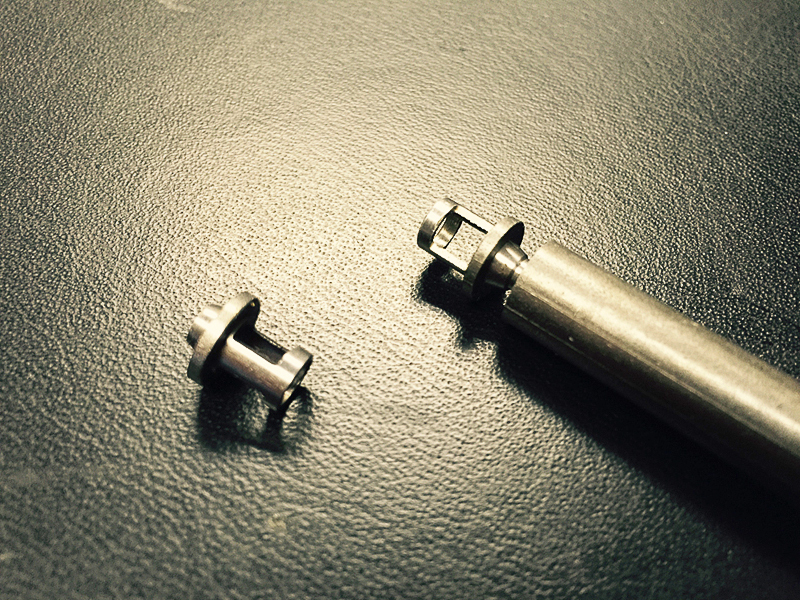 We employed our standard screw machining method to fabricate the valve. Tolerances of +0.003" / -0.001" were achieved during the production process, which included inspection and testing steps to guarantee dimensional accuracy. After machining, a yellow chromate coating was applied to protect the valve from corrosion. This specific type of coating would allow for protection without disturbing the tolerance values established in machining. We presently manufacture 3,000,000 of these valves annually for this customer, delivering monthly. Few manufacturers are able to deliver this level of cutting-edge precision while still achieving volume output. For more information about our capabilities and services, see the table below and feel free to contact us directly. 0.415" Length x Ø 0.380"